Vitamin E is catch-all for 8 different fat-soluble vitamins that aid in preventing the process known as oxidative stress from occurring in our bodies. Making sure you are getting the right amount of vitamin E can help to minimize your risk of developing such issues as cancer, heart disease, and even age-related damage to the eye such as macular degeneration. Get too much of this essential nutrient, though and excessive bleeding may occur if you happen to get nicked! It’s important to keep your levels in check as too much isn’t good, but not getting enough is definitely less than ideal! Continue reading for some signs to watch out for that may indicate you need to up your vitamin e intake, some of the many health benefits adequate vitamin intake provides, what foods you should be eating more of if you need to more vitamin E in your diet. Vitamin E deficiency for the longest time was considered to be a non-issue amongst members of civilized society due to its rarity and its thought that those that were deficient were not so because of poor diet choices. Experts are now starting to think to find that people are not getting vitamin E from natural food sources and that increased attention needs to be paid in order so we get this essential vitamin in the right amounts! There are a few different situations where a deficiency may come about and it’s usually brought on by a malfunction in the way our bodies absorb this essential nutrient. Examples of these situations are as follows: If a baby is born prematurely and comes in weighing less than 3.5 pounds, they are at an increased risk of being deficient in this vital nutrient due to their bodies inefficiency at absorbing this nutrient. Luckily though there are pediatricians that specialize in caring for newborns in these situations and they will typically analyze the individual’s nutritional needs in order to get this under control. Another situation where a vitamin E deficiency may arise in when someone has issues absorbing dietary fat such as when they suffer from inflammatory bowel disorder, or IBS. 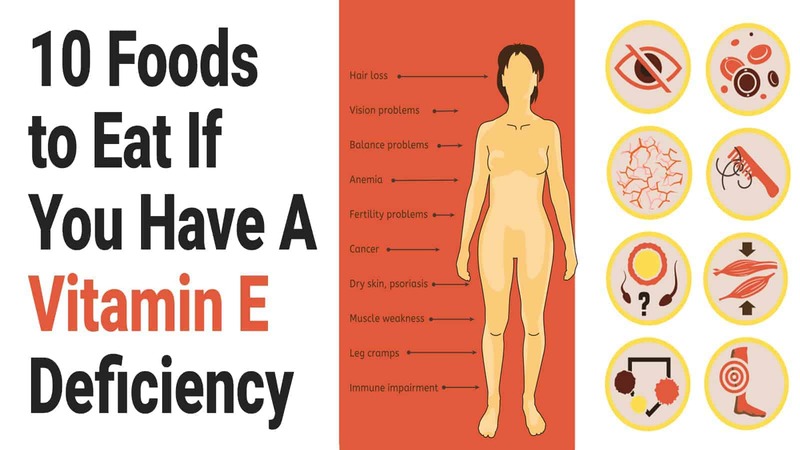 Other examples of when a E deficiency may be likely is when a person suffers from other conditions such as cystic fibrosis, Crohn’s disease, liver disease, had gastric bypass surgery recently, or have a pancreatic insufficiency. Signs of a deficiency include impaired speech and vision, and a loss in muscle coordination. Cholesterol is produced naturally by our liver and in order for your hormones, cells, and nerves to function properly in our bodies we need to make sure it is at the right levels. Natural, healthy levels of cholesterol result in a healthy, balanced, and normal body. If cholesterol begins to oxidize, it may become a problem! Recent research has found that certain forms of this vitamin may act as protective antioxidants that fend off the oxidation of cholesterol. The way these forms of E accomplish this is by fighting off damage caused to our bodies as a result of free radicals. The Tocotrienol isomers of this important vitamin contain three double bonds that benefit our cardiovascular health as a result of their ability to halt the activity of enzymes that modulate cholesterol production and synthesis. These isomers may also stop cell adhesion and so may reduce the progression of atherosclerosis, which is the thickening or hardening of our arteries. An important take-away from all this though is that synthetic forms of this vitamin found most commonly in supplement forms do not appear to offer sim liar effects as previously mentioned when compared to natural forms. When free radicals run rampant in our bodies they act to break down the healthy cells we have in our bodies. As a result of the cell damage caused by these free radicals, increased risk of cancer and heart disease may occur! These free radicals are molecules that naturally occur within our bodies and when they oxidize or accelerate they can end up causing real damage to our bodies. There are different forms of vitamin E that have the great antioxidant ability to reduce the damage caused by free radicals, fend off inflammation, and as a result, can decrease the rate of cell aging and also reduce your risk of developing health issues including heart disease! These forms of this vitamin have been found to greatly improve our bodies immune system, and as a result aid in the prevention of many common conditions and illnesses. A recent study made the claim as a result of their research that the formulations of gamma-tocotrienol, alpha-tocotrienol, and delta-tocotrienol are best to realize these benefits. This essential vitamin offers a plethora of benefits to our skin by way of improving elasticity and moisture, strengthening the walls of capillaries, and acts as a naturally occurring anti-aging nutrient within our bodies. This important vitamin has been found in recent research to significantly reduce the occurrence of inflammation without our bodies and on our skin which helps to maintain youthful and healthy skin! These beneficial antioxidant properties are also great in that they protect your skin from cancer risk as a result of exposure to the sun’s damaging ultraviolet rays and cigarette smoke! Due to this essential nutrients status as a powerful antioxidant, it aids in greatly reducing the damage to your hair that is brought about as a result of environmental factors and also promotes good circulation around your scalp! Using it in an oil preparation may offer you the benefit of increased moisture retention in the skin which works to reduce the occurrence of flaking and drying of the scalp. Using this oil will make your hair appear fresher and healthier overall. If you find that your hair is starting to look dull, or dry, consider applying a couple drops of oil to realize these amazing benefits! This vitamin offers the amazing ability to naturally balance your hormones, playing a vital role in regulating both your nervous and endocrine systems! If you notice increased weight gain, PMS, allergies, urinary tract infections, anxiety, fatigue, or changes in your skin, all signs of a deficiency, increasing your intake may be in order! Keeping your hormones in check will help to keep menstrual cycles regular, give you increased energy, and assist you maintain a healthy weight! 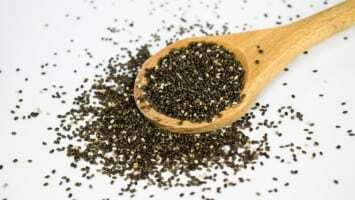 Sunflower Seeds contain in a 1oz serving 7.4mg or 49% of your daily value of this vitamin! Almonds contain in a 1oz serving 7.3mg or 49% of your daily value of this vitamin! Other nuts that contain this vitamin in good amounts include hazelnuts, pine nuts, Brazil nuts, and peanuts. A half of an avocado contains 4.2mg or 28% of your daily value of this vitamin! In 1 cup of cooked spinach 3.7mg or 25% of this vitamin is contained! Some other leafy green vegetables to consider in order to meet your daily needs of this vitamin include turnip greens, beet greens, mustard greens, collard greens, and Swiss chard! In 1 cup of cooked butternut squash 2.6mg or 18% of this vitamin is contained! Similar to butternut squash, pumpkin and sweet potatoes both provide significant amounts of this vitamin, coming in at 9% and 7% respectively. In 1 cup of kiwi 2.6mg or 18% of this vitamin is contained! Some other fruits that contain this vitamin at similar levels include blackberries, mangoes, and mamey sapote. 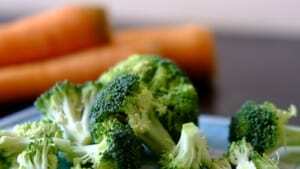 In 1 cup of cooked broccoli 2.63g or 15% of this vitamin is contained! 1 tablespoon of olive oil offers you 1.9mg or 13% of your daily value of this vital nutrient! Some other oils that contain this vitamin in good amounts include rice bran oil, grapeseed oil, and wheat germ oil. 3oz, or roughly 12 large shrimp, provides your body with 1.9mg or 12% of your daily value of this vitamin! For some other shellfish options: crayfish and blue crab also offer good amounts of this vitamin! If you’ve discovered that or believe you may be deficient in this essential vitamin, ensuring you start to consume it in adequate levels will likely offer you a variety of noticeable health benefits! 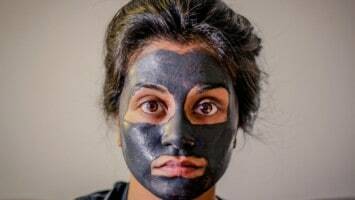 From improvements in your skin, your hair, and reductions in your risk of developing a whole host of terrible conditions and diseases, ensuring you’re getting it at the right levels is vital! After reading through this article you should be armed with the knowledge you need to make a decision on whether supplementation or increased attention needs to be taken in order maintain your intake at correct levels. If you find you need to increase your intake, consider some of the foods listed above as healthy options to up your intake!